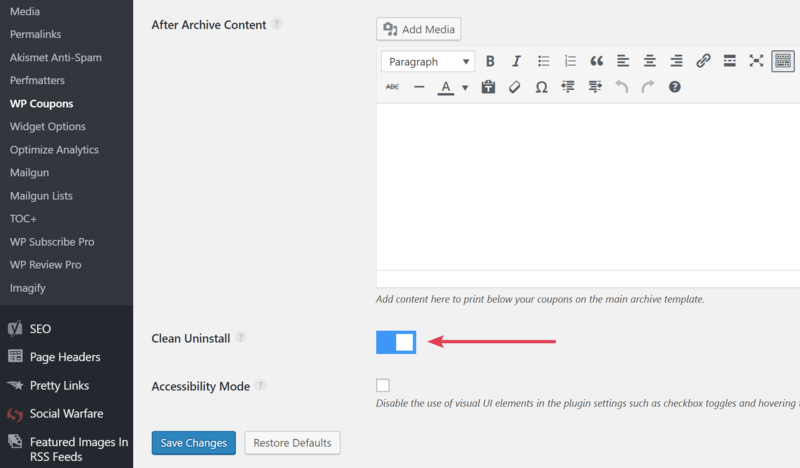 When enabled, this will cause all WP Coupons options data to be removed from your database when the plugin is uninstalled. Follow the steps below. Click into “Plugins → Installed Plugins.” Deactivate the WP Coupons plugin and then click “Delete.” All the database options, settings, etc. will then be removed.